A team can only enter the tournament if the registration fee has been paid and a confirmation email has been received. Registration closes on the 1st of May 2019 at 24:00 or earlier once the maximum number of participants has been reached. Full means full. If the registration fee is not received before registration closes, the team will be excluded from participation. Each club supplies at least 1 referee per TB and at least 1 referee per MCJC (full details are on the registration form). Placement in the tournament is done in order of registration. When the registration of a team is confirmed, no fees will be refunded in case of a cancellation. Teams that are registered for the tournament and don’t appear (without valid reason or explanation) this year will not be able to apply for the following year. This also applies to teams that do not participate on Sunday without a valid reason or explanation. 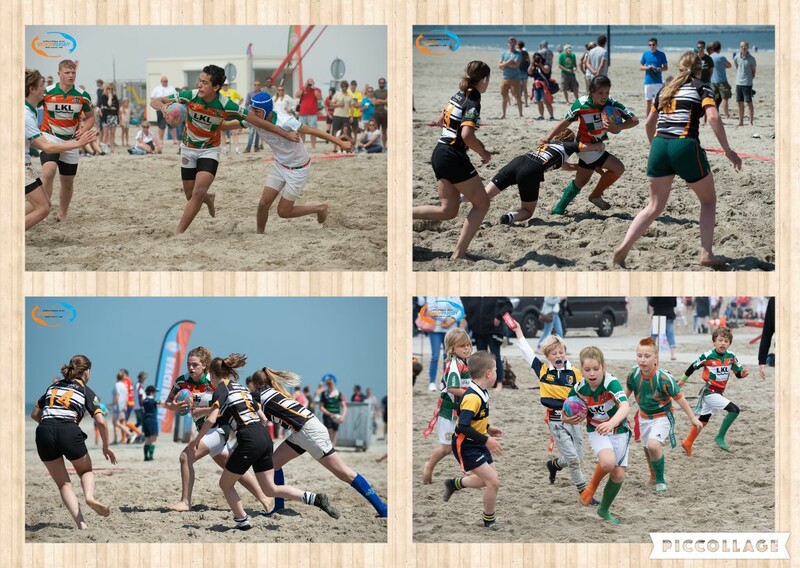 Team managers report their team at the beach on Saturday the 8th of June between 9.30 and 10.00. There will be one registration table per category. When registered, you will receive a program booklet, a team lunch voucher and the competition schedule for each team. When registering, a copy of every player’s card in the team (print from e-rugby) must be issued on 1 or 2 A4 pages. When in doubt about a player’s age, the game secretary can be asked to check the player card. Every team must have a printout of each player’s card from E-Rugby. If fraud is committed, the team will be kicked out of the tournament. Dispensations as issued by the NRB are valid. Make sure you provide the correct proof for these dispensations. Make sure you take a copy of the dispensation and hand it in together with the copy of the player cards at the registration. If a team tries to strengthen itself with a player from a higher age category, the team will be kicked out of the tournament. If a team does not show up at the MCJC on the 2nd tournament day, their results will be deleted and that team will not be welcome next year’s tournament. All players of 1 team must wear the same shirts. Shoes are prohibited. To protect their feet, players are advised to wear 2 pairs of socks.